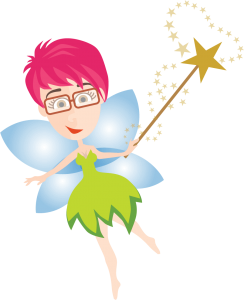 Let thePixelPixie sprinkle her magical dust on your project! I would love to learn more about your project and build something awesome together. Let me know how my 25+ years of experience building and designing websites, and doing graphic design, can help you reach your goals. I love - I MEAN LOVE - designing things and building websites. Would you believe that I really enjoy coding? I get lost in the code and love making things happen that are cool and functional. And I get giddy over a great design project coming together. 25 years later, and these things still bring me joy. What sort of other project would you like to discuss? thePixelPixie will happily create social media images and basic pages for you, using your official branding. But I don't do Social Media Marketing myself. Same with SEO. I will always set your site up to use best SEO practices, but I do not do content writing, or keyword searches or create ad campaigns (I do create marketing materials, and enjoy it very much). However, I'm happy to refer you to people who do these things exceedingly well and that I have worked with in the past. Also, we don't do math. Math is not our thing. Numbers and thePixelPixie just do not mix. Don't even ask! What is your budget for Website Development/Design? Note that print design pieces and branding packages are priced differently than website development and design projects. What is your budget Print Design and/or Branding? Note that website design/development is billed differently from print or logo/branding packaging. What is the deadline for your project to be completed? How did you hear about thePixelPixie?